DAN CAPPELLAZZO/STAFF PHOTOGRAPHERLewiston - Niagara University president Rev. Joseph L. Levesque, C.M. 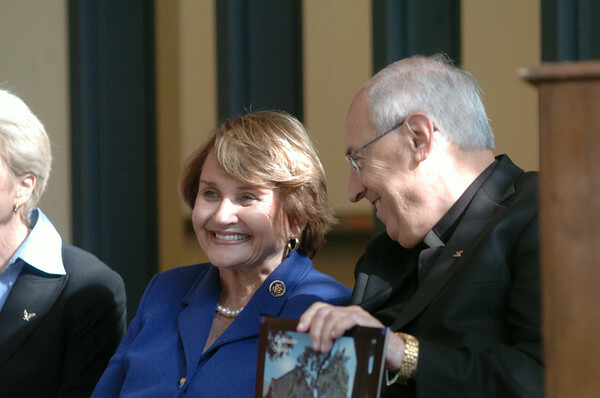 and Congresswoman Louise Slaughter are all smiles before Slaughter announced a $550,000 grant to help fund the construction Niagara University’s new Science Building during a press conference at Bisgrove Hall at Niagara. The new building will be located next to the Castellani Art Gallery.